I truly believe that our lives is like a bread that we ought to share with others. The decision to share it is left on each and everyone of us. Hence, as the title may suggest subsequent post you find below will be related to one out of million breads God has made in this world called Duta's bread...Hope u enjoy ur every bite of my bread. A come-back post! 17 April 2011 "Asking God"
Keep on asking, and you will receive what you ask for. Keep on seeking, and you will find. Keep on knocking, and the door will be opened to you. 8 For everyone who asks, receives. Everyone who seeks, finds. And to everyone who knocks, the door will be opened. If the Bible said that everyone who ask will receive what he/she asks for, why is it many often God doesn't granted us our wish?! And we fail to receive what we ask for..why?does these Word of God still prevail? This could be one possible answer to the question above. Yet you don't have what you want because you don't ask God. 3. And even when you ask, you don't get it because your motives are all wrong - you want only what will give you pleasure. In our case, it is not that we don't ask God but..it's the motives behind each of our requests..almost of all times, you and me only ask what will give pleasure to us, be it for fame, money, power/ influence..but have we ask God, is this really God wants us to have?and what are the things that God wants us to have to fulfill the destiny He has for us in this earth. The right motives should be all about Him, His glory and His delight in us. James 4: 6 God opposes the proud but favors the humble. So, humble yourself and ask God with the right motives and do remember motives is all about what you have in your inner-most heart..is it you or is it God?! This week morning prayer meeting was AWESOME..*extremely blessed* wooHhoo..
During one of the meetings, i feel prompted to open my bible and turn to Hebrew 11 which is well-known as Faith's Hall of Fame..Hence, instead of praying, i read that passage.There I found the compilation of heroes of faith story in that passage. As I look through the verse one by one, God gave me new revelations. In this post I'll share w/ u one of 'em.. I'm pretty sure that you all know the story of Cain and Abel's offering in book of Genesis. Let's flashback a bit..in Gen 4: 2-3...Both of them offer a sacrifice to God Cain offer the fruit of the ground while Abel offer the firstborn of his flock and of their fat. Guys, what it takes for our offerings to be respected before the Lord..?! 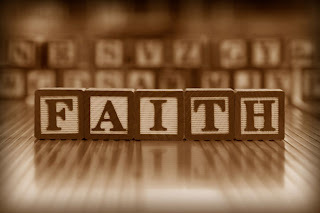 The answer is simple and only one word...FAITH..!! By FAITH Abel offered to God a more excellent sacrifice than Cain.. So, every time it comes to offering..
Let us be confident that what we hope for (our goals, visions, dreams, and targets) will come to pass and be assured though we have not been able to see it in our physical realm yet. ..Your faith determines the sacrifice you'll bring before the Lord..
And this mindset does not only apply to the money you put in offering envelope every week,guys..It does apply to other sacrifice we made for God whether it's your free time..your hobby..even sacrificing the pleasure of sinning and keep your holiness. keep on believing God and be confident that your DREAMS will turn into REALITY.. WHICH is none other than SMILING.. It happens in a FLASH and the memory of it sometimes last FOREVER. It is rest to the weary, daylight to the discouraged, sunshine to the sad, and Nature's BEST antidote for troubles. And if in the last-minute rush of Christmas buying some of our salespeople should be too tired to give you a smile, may we ask you to leave one of yours. FOR NOBODY NEEDS A SMILE SO MUCH AS THOSE WHO HAVE NONE LEFT TO GIVE...!! 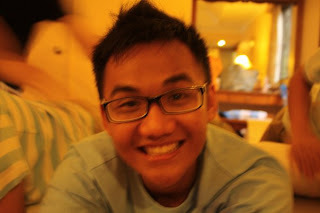 I give you my BEST smile people...!! Well, this is mother's day..wii..though i don't used to celebrate this when i was in Indonesia...however,as many says that u won't treasure something unless u lose it or far far apart from it...similarly, as i am now separated physically from my mom...often there's a time i miss her..her loving hugs and kisses that comfort me in midst of storm..hehehe..
Today, Pst. have shared several characters in godly women.. Literally speaking, my mum indeed a teacher who taught kindergarten to sec sch student..Yet, not only a teacher @ sch..she has become a great teacher @ home..the most memorable thingsare she has teach me how i shud share my life w/ others..there's a time when her "problematic" student who comes from broken family called in the middle of nite for conaultation and sharing..can u imagine..calling ur headmistress in the midst of night..and still get a listening ears of her..well,she is my mum..teaching me to lend ppl my listening ears thru real example.. There are 4 preachers discussing among themselves…which version of bible is the best according to their opinion.. The second one said..For me, I love New American Standard version more..bcoz it is the most direct one ..translated from hebrew bible.. He replied…No…My mom did not do that…but SHE TRANSLATED THE BIBLE INTO HER LIFE…where I could see, learn,and experience clearly..
*a big thanks to the BEST mum, Iis Darmawan..
Who has endure for 20 years for me…=P. DO u want to work for CHANGE ?? !..I do..!! one says that change is the only constant in our lives ..is this saying is true? Well, this past few days i've been going to gym very often..
and last time i was going there w/ Linbo..while i was running on cardio machine, Guess whatt?? just realize that in order to keep up w/ the pace...i need to run...CHANGE your position..constantly RUNNING not walking or even standing still >.<..
Another thing is @ beginning of cardio, they ask ur target speed on which u're going to run...once the speed is set...you...MUST RUN AND KEEP RUNNING to achieve the target.. There's one time i feel to tired that i dont realize the inclination has increased and i am supposed to PUT MORE EFFORT..yet,i just put the same effort and i almost FALL from the machine and LOSE tHE RACE..
See,my friends..as the world keep change ,we need to be always relevant *not to be out-dated ,kay? * otherwise, u may FALL oUT OF THE RACE you and me in rite,now...=p. P.S.wanna know, what change i'm working on rite now? ?watch out for the next post ,fella?? Ohhh..YEAH this is my very first post..
clock showing 3 am sharp..and i just finished watching a movie called "TAKEN"
what's the "everything" ?! it's none other than his LIFE...*still feel unclear about the word" life"?! GO AND WATCH yourselves,man...*hahahahha....lolz.. 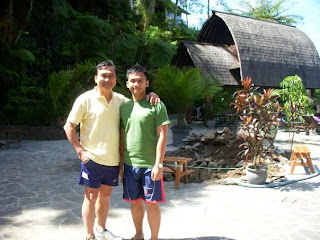 In spite of all his IMPERFECTION...well,neither my dad is perfect...and i believe yours also..However, they have gone the race so far...enduring the "cross" of our family..being the first front person...when anything goes wrong in family..
the photo of me and my DAD....enjoyy..hahaha=P. please feel free to comment and share your "bread" as well..